Dr. Louie launches a new research project on shifting international student identities in the context of post-industrial Michigan, building on her previous body of work examining Chineseness in the context of transnational migration, globalization, and government projects of inclusion and exclusion in both China and the U.S.
As an undergraduate, Dr. Louie majored in History and Anthropology at Bowdoin College, taking her first anthropology course with an inspirational visiting professor named Harald Prins, who encouraged her to explore her burgeoning interest in Chinese American identity in his course on Native Americans. He also encouraged Dr. Louie to apply to graduate school at U.C. Berkeley, a university with strengths in anthropology, Asian Studies, and Asian American Studies. There, Dr. Louie studied under Laura Nader, receiving her Ph.D. in December 1996. Dr. Louie has been a faculty member at MSU since 1998, when she was hired for a position focusing on Asian diasporas and migration after completing a Mellon Postdoctoral Fellowship at Washington University, St. Louis. She has taught a variety of courses, including Introduction to Sociocultural Anthropology, Social and Cultural Analysis, China: Culture and Society, National Diversity and Change, and a graduate course titled Transnational Processes and Identities. In 2004, her proposal for an undergraduate specialization in Asian Pacific American studies was approved, and she was the program director for this specialization until stepping down in 2010. While much positive attention has been given to the new family forms created through transnational adoption, there have also been numerous critiques of the ways that white adoptive parents approach the cultural and racial difference of their adopted children. This is particularly in reference to the attention many place on Chineseness as a form of cultural difference, often at the expense of an awareness of how their racial minority status also impacts them. Based on over 75 interviews as well as in-depth participant observation in St. Louis, the San Francisco Bay Area, and China, Dr. Louie’s research examined how white and Asian American adoptive parents’ racial and class positioning shape the “ethnic options” (Waters 1990) they exercised, and how both children’s and parents’ identities were reshaped and re-negotiated over time, especially as children come of age. 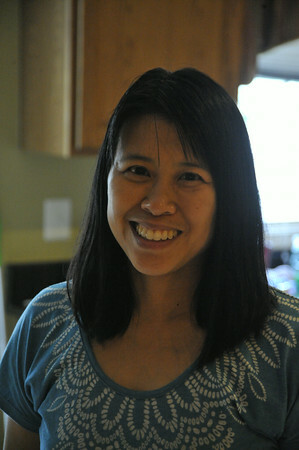 Like the American-born Chinese Americans she explored earlier, their relationships to China and Chineseness are highly mediated, made even more complicated by their parents’ concerted efforts to help them craft identities that both acknowledge their Chinese origins but also integrate them into their own families’ cultural, religious, and racial backgrounds. Dr. Louie’s latest research project on Chinese international students represents a natural continuation of her previous work on transnational migration, Chineseness, and identity, and builds upon her expertise on mainland China, transnational migration, and identity. She plans to conduct an ethnographic study of Chinese student experiences in the U.S. that is situated in the realities of both post-socialist China (including the One Child Policy that drives the increase in students studying abroad) and in the context of a post-industrial Michigan. This article is in the Department of Anthropology’s Spring 2015 Newsletter, see the entire newsletter here.